Madhukar Tax Saving Deposits - Saraswat Cooperative Bank Ltd.
Saraswat Bank’s Madhukar Tax Saving Deposit is the perfect savings scheme to do away with your tax troubles. Investments under Madhukar Scheme offered by Saraswat bank are exempted under Sec 80C of Income Tax Act. 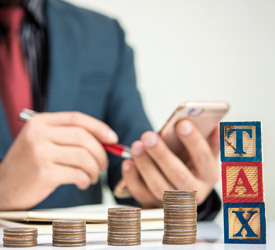 In the Finance Bill of 2006, the government had announced Tax benefits to Bank Term Deposits which are of over 5 year tenure u/s 80C of IT Act, 1961 vide Notification Number 203/2006 and SO1220 (E) dated 28/07/2006.